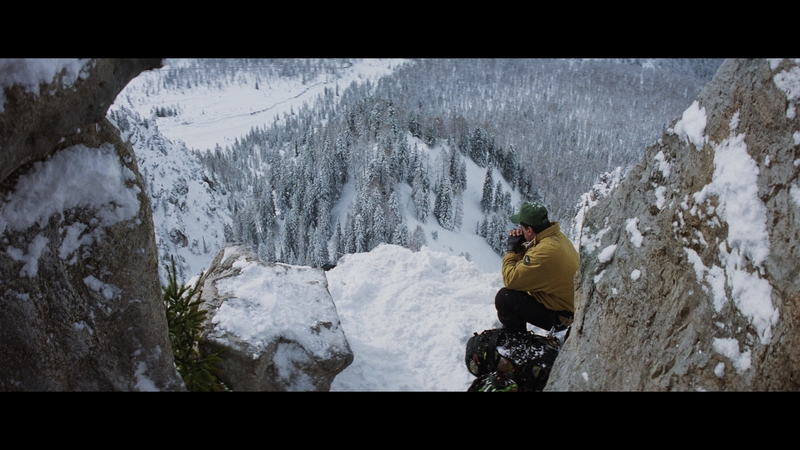 Blending the ‘90s extreme sports fascination and distrust of government institutions, Cliffhanger is a masterwork of an action movie idea. It’s scenic, with enormous pans of Denver mountaintops backing a slew of shoot-outs and plentiful explosions. It’s ludicrous, in the way the best Hollywood actions movies enjoy being. And, it’s riotously entertaining. A plane crash, lost cases stuffed with $1000 bills, and a hunt to track the latter down; Cliffhanger is simplistic action movie fodder. But, mountains turn into characters. Storms become supporting players. Avalanches and ice become weaponized. Cliffhanger’s brilliance is the snow, turning things like grenade duels into sightly moments, and the whole of the environment a threat. 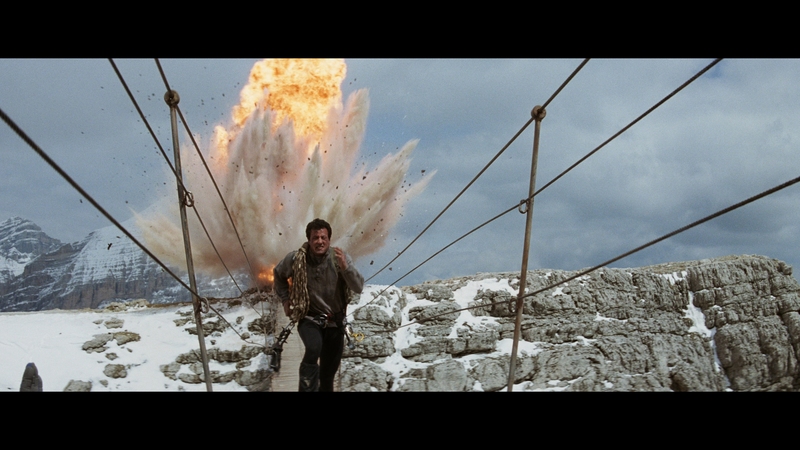 It’s also some of Cliffhanger’s best nonsense, Stallone wearing on a drenched t-shirt as he navigates sub-zero temperatures. Consider the kills. Numerous people fall to their death. Might as well use mountains for their value, sending treasury-hijacking goons to their doom. Cliffhanger loves the sight of a body plunging hundreds (thousands?) of feet. Don’t discount the smarts though. Hero Sylvester Stallone, cast as a rescuer of stranded climbers, body presses one poor sucker into a ceiling stalactite. That’s creative. Dialog spits out a number of enraged gems, mostly from John Lithgow; his Qualen ranks only one or two notches below the great Hans Gruber of Die Hard in terms of evil glee. Raw expletives feed into the script over time. As the situation to find three missing briefcases full of cash grows desperate, there’s an increase in posturing and anger. Cliffhanger knows when to pour on fuel. Cliffhanger knows the audience. Every line spills masculine barbs as ego is tested. Stallone’s veins pop as if experiencing a stroke. The two women in this story turn into pawns, one used to establish an emotional quota, the other something to fight for. Everything else is a duel of men, doing manly things, and looking ever cooler as they go. Little of this project dates itself. A few effects shots squander their reality (and studio sets never looked convincing). Two extreme dude bros drown in their own ‘90s attitude, but only take up a few minutes of screen time. The rest of Cliffhanger remains relevant, partly because no other gun-toting action showcase ever tried this setting again. And the villains – a group of terrorist types trying to one-up the American government – act out a tough guy fantasy. 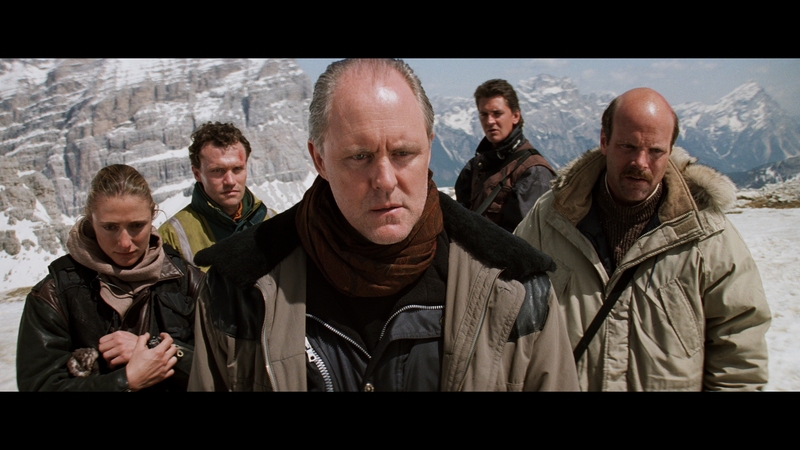 Each member is a joy, able to withstand the screen-chewing of Lithgow. 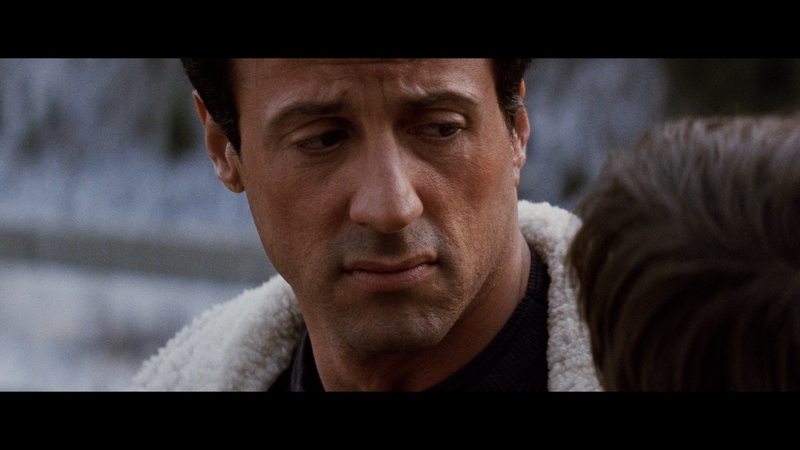 Stallone is a perfect protagonist, brawny as he ever was, and carrying enough thin characterization to care. Caring at all in a movie like this is a sign of success. Certain shots of Cliffhanger’s 4K presentation appear processed, much like the atrocious Blu-ray release prior (and included unchanged within the UHD package). Grain falls away, leaving a murky image behind. Why just those shots when grain is preserved elsewhere is the mystery. Luckily, those moments make up some five percent of the total runtime. Composites understandably foul up sharpness, and what looks like rear/front projection dims things too. That can’t change. Everything else – and to be clear, this is the vast majority – is marvelous. 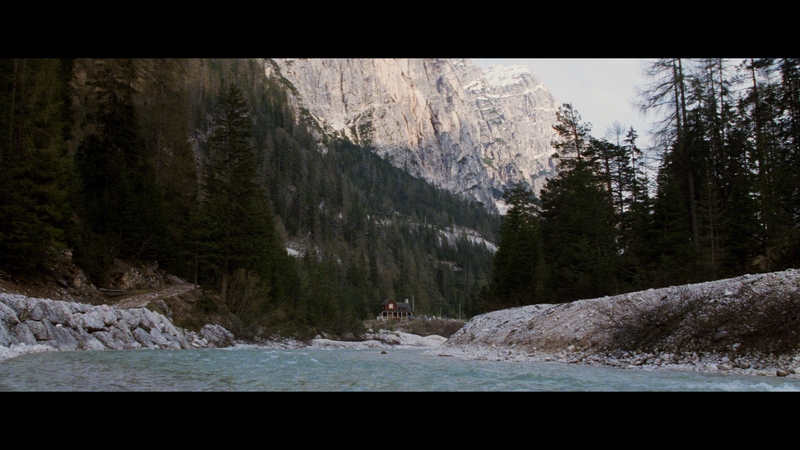 If the scenery helped Cliffhanger stand out in a crowded genre, it’s also lasted as a multi-format showcase. Mountainside pans display intense levels of detail. Rocks and snow provide plenty for this release to show off. A true 4K scan provides Cliffhanger with absolute sharpness, and the encode handles all grain. Close-ups then add further texturing. This all counts toward a vibrant HDR pass, providing weighted brightness to the snow. Sun slams onto surfaces. 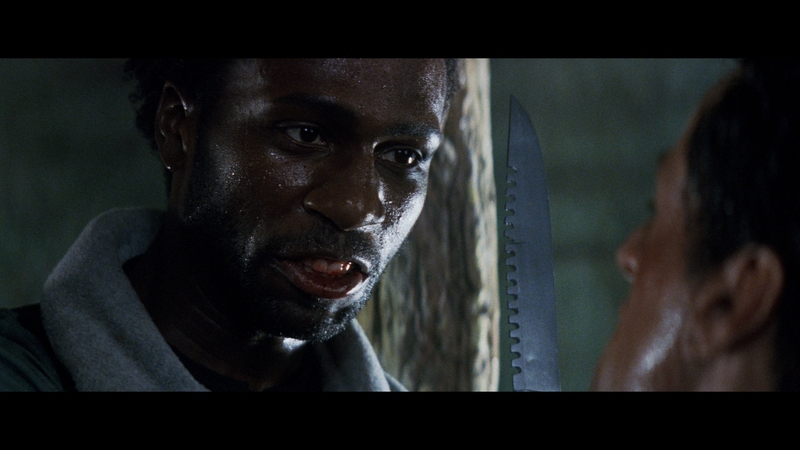 Contrast intensity reaches a new tier for this movie. Likewise, a darkened cave interior enriches black levels. That’s critical given their necessity in that scene. Deep color doesn’t tinker with this source. Natural flesh tones stick out against the snow-packed backgrounds. Dude bros wear pure ‘90s neon, gorgeous with the added heft of UHD. Pine trees flash heavy greens, with other primaries acting as an equal. Cliffhanger is one of the reasons to own a home theater. That’s true on every format it’s been a part of. Now with a kick up to Dolby Atmos, nothing changes – Cliffhanger is a premiere example of action movie sound mixing. Environmental effects keep a steady stream of activity going. Wind whips up into the rears, adding to the scenery’s hostile, perilous nature. Birds call out from the trees, and lots of dialog makes the trek into the back channels too. Ambiance maintains a consistent presence, at its peak inside the cave as water convincingly drips in each channel. When big stuff happens, everything comes into play. Helicopters sweep around the soundstage, rotors jumping into the low-end. An avalanche is a room crushing event, as is a reference worthy plane crash. Explosions rock. Each flares up with power. Dynamic range doesn’t play with subtly. Sharp use of positionals sends debris falling, bullets panning, and bats sweeping. Pitifully, there’s nothing new. The UHD doesn’t even port the commentary tracks. Those stay on the Blu-ray, like they did on the DVD. The two commentaries start things, with director Renny Harlin and Sylvester Stallone on the first, while the special effects crew (editor Frank J. Urioste, production designer John Vallone, with visual effects supervisors Neil Krepela and John Bruno) take over on the second for detailed analysis on what was real and what was fake. An intro to the disc from Harlin is a brief making-of piece, along with the usual “thank you’s.” Three deleted scenes feature introductions from Harlin on the specific cuts, and they run over eight minutes because of it. Stallone on the Edge is purely a promotional piece, with the actor discussing the film while on Demolition Man’s set. Two scenes selected for visual effects deconstruction include commentary from Harlin, with a great look at the miniature helicopter crash. Storyboard comparisons and trailers come up last, as they typically do. Overloaded with action movie ridiculousness, Cliffhanger maintains its hold on the genre thanks to a vivid setting and spectacular high points.